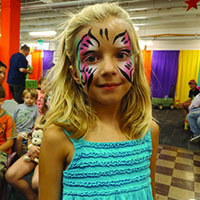 Headlined and operated by Denver’s Best Children’s Entertainer Daniel McGuire (aka Smiles the Clown), Simply Smiles provides balloon artists, face painters, and variety entertainers who can do both balloon animals and face painting at the same party. We keep it simple and provide you either the best clown Denver has to offer, or one of our talented and vetted team members at a great price. Dozens of Unique Balloon Animal Designs. Recommended for 15-20 kids per hour. If you have a lot of kids that want balloons, we have solutions for you. Our team is trained on designs both large and small, so when the crowds get bigger, the balloons can get simpler. We carry menus that list simpler options so we can work through long lines of kids. Sometimes we can even make 50 balloons per hour! There’s no better way to entertain crowds of people than to have the most well known and loved balloon artists in Denver. 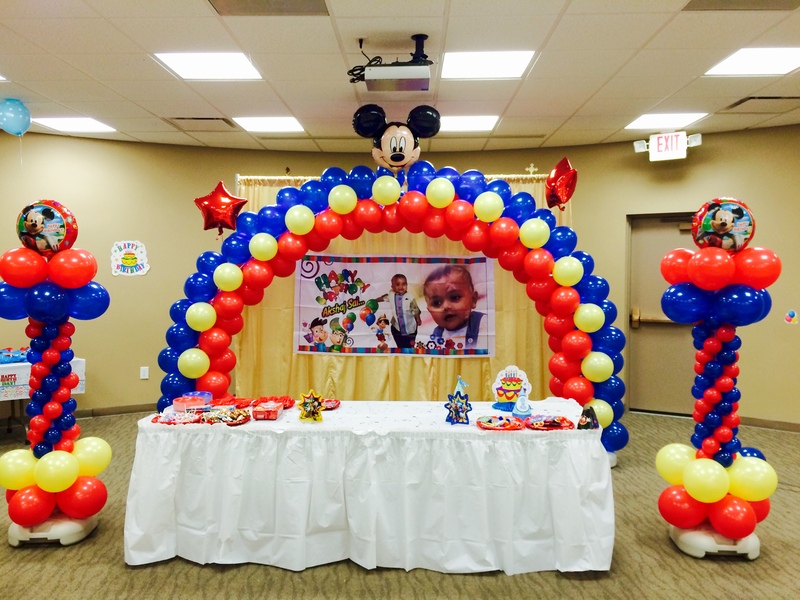 With our company, you can hire as many balloon artists as you need for all the time you need. Our clients are always happy with our services and we are confident that if you hire us you will soon be a repeat customer. 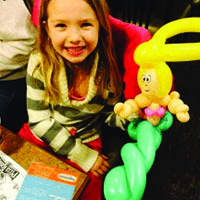 The Simply Smiles team is great at making balloon animals and entertaining dozens of children at a time. However, there are times when you simply need the best balloon artist Denver has to offer. 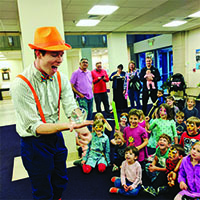 Daniel McGuire, Denver’s Best Children’s Entertainer, has been told by hundreds of people that he is the best balloon artist that they have ever seen. After seven years of making balloon animals, running companies in two states, and training dozens of new balloon artists, he is up to any challenge. Do you want a Mario? Done. Having a Minion themed party? No problem. He’s even made balloons taller than he is. Don’t believe us? Check out our gallery for some of our best photos, check our Facebook for new photos, and then give us a call today. Amazing Face & Arm Paintings for boys, girls, and adults! Recommended for 15 – 20 kids per hour. Thanks to thousand of hours of practice, Daniel has become the fastest face painter in Denver. 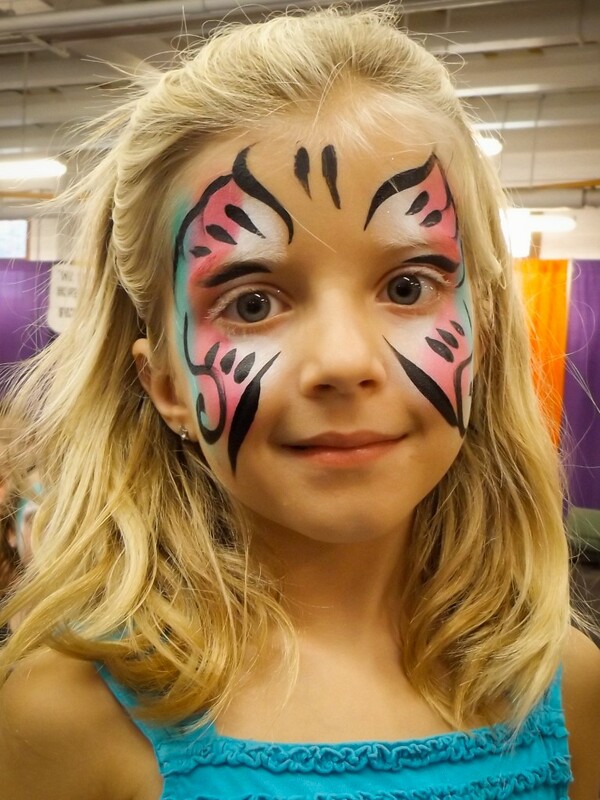 He is able to provide jaw-dropping face painting that will have the kids glowing (literally and figuratively)! His creative style allows him to work very quickly, and he is capable of painting more than 30 faces an hour. He can also slow things down, creating intricate works of art on the face, hands, and arms. Best friends can get matching paint at the same time, or can watch and see their friends’ dreams come to life! The best part about his face painting is that it’s easily adjusted for both children and adults. One Entertainer brings balloons and face painting. Recommended for 10 – 15 kids per hour. 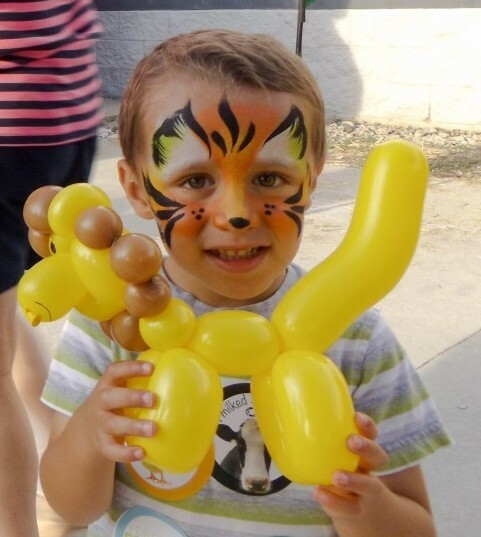 Choosing between Balloon Animals and Face Painting can be a difficult choice for a kid and even more difficult for a parent! 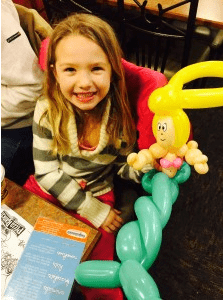 Simply Smiles entertainers specialize in both balloon twisting and face painting, allowing your party to have two types of entertainment for the price of one! Hiring a multitalented entertainer is an affordable way to provide your guests with a variety of entertainment options. Additionally, it helps ensure that your guests will get to do exactly what they want. 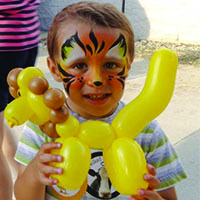 Most kids love both balloons and face painting, but children can be hard to predict. By hiring an artist capable of both, you ensure that every child is satisfied and some of them are doubly satisfied! 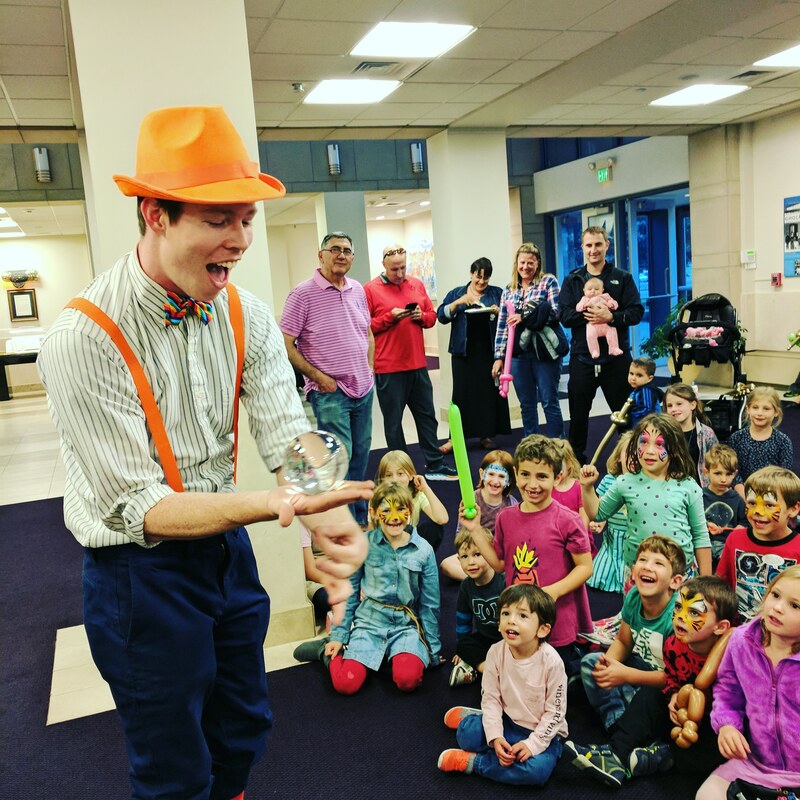 Daniel is a passionate, full-time entertainer who has dedicated himself to becoming Denver’s best children’s entertainer. It’s a full-time job that involves constant improvement, timely responses, and personalized preparation for your party and your child’s favorite activities. Create a party that you and your family will remember for years to come by hiring the best entertainment Denver has to offer. With his magic ball, Daniel will blow the minds of both children and adults! his magic routines work well for entertaining large groups of people or for more intimate groups of children. Guests of honor (birthday children, etc.) will also be able to assist in his performance! Traditional juggling is also provided, both on AND off his unicycle! Master Balloon Artist, Face Painter, Juggler, & Illusionist. Planning an event can be overwhelming. The good news is, we’re here to help! Save time by calling one company for all of your entertainment needs rather than calling around to several different companies. Call or email us and you’ll receive a quick call back with more information! Tired of entertainers that are unreliable or hard to reach? Simply Smiles will provide you excellent service and reliable entertainment for years to come. We even come with recommendations for other party services!